Change the data of System.IsPinnedToNameSpaceTree value subkey to 0. Close and restart any File Explorer window, and OneDrive now hidden. 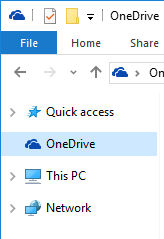 Original Windows 10 File Explorer with OneDrive. 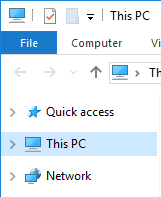 Windows 10 File Explorer without OneDrive after the registry hack.